Information on this page is updated regularly to reflect current funding opportunities in the Fingal area. Fingal County Council’s Events Unit is accepting applications for financial assistance for events and festivals taking place in 2018, Applications will be accepted from community/voluntary groups for existing and/or new events or festivals. If you have any queries, please email events@fingal.ie. The Fingal Local Community Development Committee (LCDC) is inviting applications for a grant under the Revitalising Areas by Planning, Investment and Development (RAPID) scheme. This is a capital grant scheme and the closing date is 24th November 2017. This scheme would suit ‘shovel ready’ projects with a cost in the region of €2,500 to €25,000 though there isn’t a minimum or maximum. This is targeted at projects in urban areas. The main aim of LEADER is to strengthen the rural economy and to improve the quality of life in rural areas. The scheme is currently open for applications. 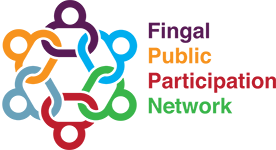 The Fingal 2017 Creative and Culture Grant Scheme is administered under the Community Activity Funding Scheme by Fingal County Council Community Culture and Sports Division in accordance with the Creative Ireland Programme. Between €500 and €1,500 is available. Fingal County Council Community Culture and Sports Division have a small budget to support Community and Voluntary Groups Activities in Fingal. Funding for Irish Charities brought to you by Fingal County Council and The Wheel provides up to date funding information for non-profits in the Fingal area. Funding sources reflect both local and national funding opportunities. All information is quoted directly from funder website/literature. Learn some hints and tips on applying for funding! Strengthen your funding application with a wide range of information and statistical figures relating to Fingal population, housing, health, employment, live register, property market, crime safety and many more. Download this presentation given by Evelyn Fitzpatrick about accessing grants with some hints and tips on how to approach an application.